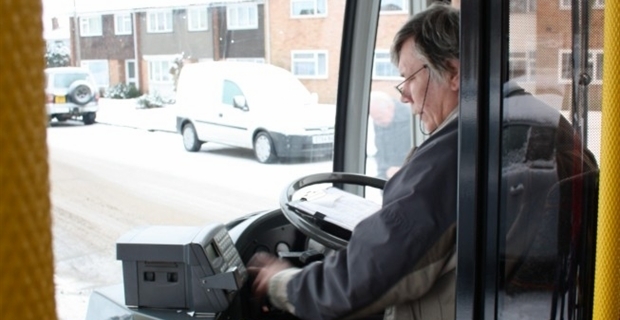 Bus driver jobs in Essex represent an excellent career opportunity. If you have a clean licence and already enjoy driving, you will find there are various openings into Essex buses. The degree of trust afforded by the general public and the high level of responsibility means that this vocation is also well rewarded. The good news for job seekers looking for bus driver openings in Essex is that this part of the UK has been faring relatively well in terms of employment. The economic recession that struck the country at the tail end of 2008 had far more impact in areas like Northern England, Wales and Scotland. London and the South-East have enjoyed a quicker return to normality. Driving vacancies, from delivery posts to bus drivers, can be tracked down readily. There are various recruitment agencies specialising in Essex vacancies. By signing on with these, you can start a series of detailed job searches to discover where the current driver openings exist. These agencies all have close ties with local businesses, and their databases are kept as up-to-date as possible. Prior to logging into the sites to look for bus driver jobs in Essex, an excellent tip is to anticipating how you would deal with eventually securing an interview. You must come across as thoroughly safety conscious. Anticipate every possible aspect of road safety, from awareness of children running out, to ensuring you receive a good night's sleep before any outing. Drinking and driving is illegal and dangerous at the best of times - for a bus driver it is particularly important to have a clean blood system at all times. You will also be expected to exhibit strong self-management skills and have the ability to think on your feet. People skills will be just as crucial as strong driving standards. Bus driver jobs in Essex are offered by several larger companies, so checking out vacancy notices on their websites is a recommended starting point. These include FirstGroup, TGM Group, and Wickford-based NIBS buses. There are many smaller firms looking for qualified and experienced bus drivers. Some will specialise in specific areas, such as historic tours, or student transportation.